We grow stuff pretty much year-round here. Ironically, the only time the weather seems to hurt our garden is when it gets too hot in July. We’re still eating collards out of our garden, and the broccoli is just about ready. We should be putting in spring garden seedlings any day now. I started extending my gardening season this year with winter gardening. Unfortunately, we are having record snowfalls, nearly double our average amount. I built 3 hoop houses over raised beds, but they keep getting crushed and buried under the snow. Right now I have 4 feet of snow. We’re getting a break today, so I’ll dig them out. In the past, the hoops have bounced back up after I dug the snow off. I have spinach, chard, carrots, arugula and kale which I planted too late last fall. I haven’t harvested anything from them yet. They are covered good with row covers and the hoops, so I’m sure they will give me a early spring harvest, if we have a spring. This year I’m building a high tunnel greenhouse to extend my gardening season. Hopefully, it won’t get buried by the snow. Good luck with your garden and thanks for your blog. I enjoy reading it. .-= Ken Toney´s last blog ..Winter on the Farm =-. I just learned about winter gardening this year, so I’m eager to learn more about how to do it! Any books/resources you can suggest? Eliot Coleman grows a wonderful winter garden up in New England, I think zone 4. These are wonderful books that explain winter gardening in great detail. Thanks for this! I had no idea you could do winter gardening. .-= Caroline´s last blog ..Unofficial Seed List =-. Interesting. I didn’t know that winter gardening was an option. Although, I live in northern Michigan—wonder if winter gardening is possible here. It gets pretty cold, sometimes -20 to -30. I’ll have to look into this and see if there are any options for my area. I’m sure you could. I’d suggest the books in my comment above by Eliot Coleman, fantastic resources for those of us living in cold climates. I lost my overwintered crop of spinach this year too. I waited too long to put the grow tunnel on the very young plants and then we had a severe cold spell of several weeks in December. That was bad enough, but then to add insult to significant injury, we had a marauding rabbit this winter who got into two of the overwintered carrot patches AND manaaged to gnaw down what little was left of the baby spinachs. I attempted to salvage the patch by gettint it covered under a grow tunnel and giving it some TLC – but only a handful of plants revived in the huge bed. However, the good news it that the soil was warmed up significantly with the help of the tunnel cover and a really mild winter from January on – so the soil was almost 50 degrees when I tested it this weekend mid morning. I just got an early jump on planting the spring crop. I am keeping it under the grow tunnel since it is planted up more than month early from my normal. So no spinach for me in mid February as well – but hopefully by mid to late March. In the meantime, I have kale, chinese cabbages, and mache growing in the unheated greenhouse and carrots and and parsnips in overwintered beds that we are still harvesting from. I would have liked to have gotten spinach going in the fall but mine failed to germinate. I had to wait to get more seed. Now that the snow is melted I could probably plant some. Hopefully our temperatures will be normal soon. We’ve been 10-20 degrees below normal this month. .-= Dave´s last blog ..How to Add Magic to the Garden =-. Sorry to hear about your spinach. I’ve been able to get a couple cuttings of spinach this winter, which was a nice treat to have in our New England weather. I sowed my seeds in early September and the plants greatly benefited from the relatively warm Fall that we experienced last year. Better luck this year! 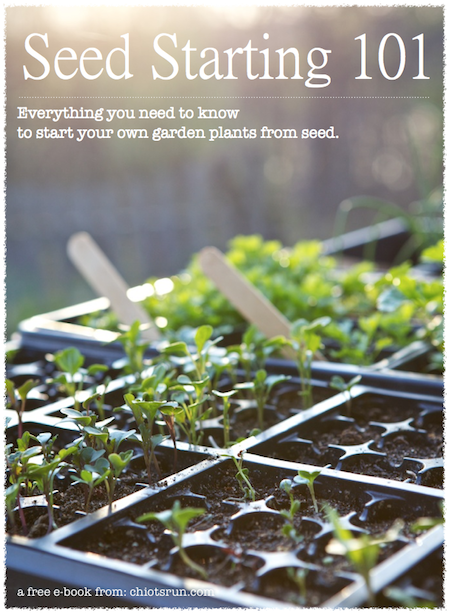 .-= Thomas´s last blog ..This Week’s Seed Starting Update – Part 1 =-. Sorry about your spinach, but I still find it amazing you could have a crop like that in February in Ohio in any year. It’s really amazing what the possibiltiies are in gardening. So, I’m curious… Spinach seeds can make it through the winter in the ground and still germinate in the spring? If so, what other veggies can do that? .-= Justin´s last blog ..Product Review: Quick Drying Towels (Eco-Friendly) =-. You’ll have to read up on Wintersowing. My spinach seeds germinated and were small plants last fall, which means they should survive the winter and start growing nicely as soon as it gets warm enough this spring. I’m hoping to move my cold frame over that bed when the snow melts to see if I can give them a head start on the warmth. .-= Justin´s last blog ..Weeknight Meal: Pizza =-. I second Christine’s comment. July is our bad month. Right now i’m harvesting tons of lettuce, spinach, broccoli and cauliflower, carrots, and watching little baby mustards and onion sets get bigger every day. .-= Miranda´s last blog ..Mini Quiches – Enough for an Army! =-. No winter gardening yet. I usually do sow some early greens though. It’s difficult to do anything even close to winter gardening here in Wisconsin (at least without the aid of hoop-houses or other contraptions). I keep some herbs indoors during the winter months (rosemary seems to do well, and lemon verbena); but I’m longing for that first indication of spring — probably in April — when I can start sowing some early greens. Yes, I have to have row covers & hoop houses for winter growing. I also keep herbs indoors, although my rosemary isn’t doing as well this winter. I’ll be starting some green soon for early outdoor planting. The fortunate part about coastal living is true four-season gardening. I think the Mediterranean folks just picked good spots. So, yes, although I’m not great at it, it’s year-round here. I cut some lettuce a few weeks ago before we were covered in 52″ of snow from back to back blizzards…I don’t think I’ll be in the low tunnels anytime soon, not by the looks of things. Common spring! .-= Diane@Peaceful Acres´s last blog ..Rebuild Your Health =-. Certainly. Winter is the only time you can comfortably garden without having to rehidrate. So sad that it is gone. So funny how the seasons are opposite. No winter gardening this year…which was a big mistake on my part since our spring has come very early this year! Do peas planted in February count? .-= the inadvertent farmer´s last blog ..Sewing Planting Playing! =-. Maritime Northwest is in full-swing spring now, I have seen it come 60 days later than this! Trees are blooming and bees are buzzing. We ate up most of the things in the grow tunnel by January. Three days of hard freeze in December was hard on everything but the kale. But it’s into second crop now and we had fresh greens tonight. I planted spinach, chives, some pak choi, michihili, napa, and white cabbages. The spinach did not do to well, however. So sorry about your spinach, nothing beats fresh from your own garden…the weather has been harsh this year. We are from Texas so we garden all year, but we have recently moved only for 2yrs but sadly it’s a apartment-no grass!! great pics!! I haven’t been able to get into my 2 cold frames because of all the snow but I’ve got lettuce, spinach and parsley waiting in there for me. I have one really nice cold frame that I got as a gift but the other is just some old storm windows propped together, some clear thick plastic and duct tape. Couldn’t be easier. The Coleman book is extremely helpful in knowing what to grow and when to plant it. absolutely we winter garden in the Northern Virginia Piedmont. Up to last year it was Reemay/agrifrabrix over spinach and a few hardy greens as well as a few cold frames. Then last year we put up a solid hoophouse (2nd hand), and I am glad we did given the amount of snow we got – which crushes the Reemay and light hoops. We are eating fresh parcel, cilantro, mache, lettuce, frisee, swiss chard, arugula & celeriac. The spinach is outside under snow. Next year, we’ll be putting another hoophouse so we can have more: beets, carrots, parsnip, parley, parsley root, salsify, chicory, kale etc. Iots can be done. It also allows me to seed early salad crops & peas for the spring crop. 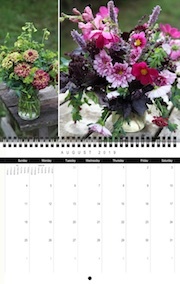 .-= Sylvie´s last blog ..Planning for Tomatoes =-. Eliot would be proud. They are showing that real people can have fresh produce from their backyard year round. Hi! Are you saying that if you plant spinach seeds in the fall/early winter, that the seeds should survive and start to sprout when the snow melts in the Spring? I just rented a backyard and am about to dive into organic gardening and farming. Yep, give it a try – mine always do very well. If they don’t you’re only out a few $ for the seeds and you replant in spring.